Signs: Contemporary Arab Art is a groundbreaking exhibition offering a rare glimpse into the Arab art world. The first of its kind in New York, this exhibition presents the work of seven influential artists from various countries in the Middle East. 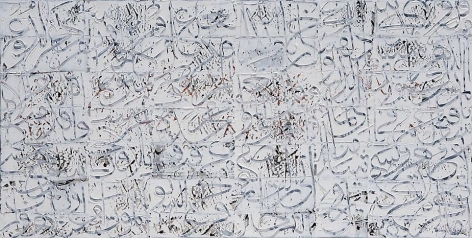 Curated by noted art historian and curator Karin von Roques, the exhibition explores the role of traditional Islamic calligraphy and symbols in the contemporary Arab consciousness. Grappling with aesthetic philosophy, mysticism, tradition, and issues of everyday survival and existence, all seven artists challenge convention and create new visual language. Once the cradle of ancient civilization, the Middle East has a compelling artistic history. For centuries, the written word has played a defining role in Islamic visual culture— a legacy that persists even today. 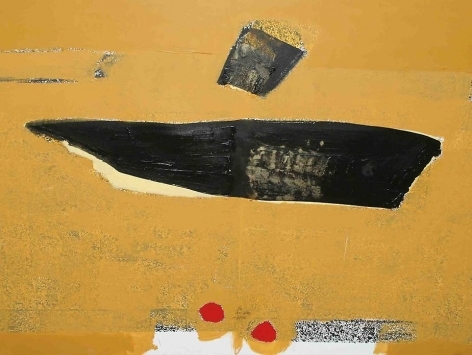 Working with different media, including paint on canvas, collage, ink on paper, wood and gold leaf, these artists take traditional Arabic script and symbols as their point of departure. 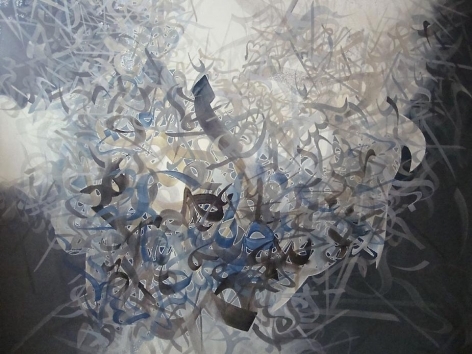 Qatari artist Yousef Ahmad distills Arabic letters into abstract shapes and gestural marks that sweep across dream-like mixed-media surfaces. Syrian artist Khaled Al-Saa'i is inspired by poetry and Sufi philosophy, and paints spacious landscapes in which words float, overlap and follow their own particular rhythm. Offering a nuanced view of the culture of the Middle East, these innovative artists create complex contemporary works that draw on the spiritual depth of ancient Islamic art. Rather than singling out Arab culture as "other," this exhibition aims to further intercultural dialogue between the Arab world and the West. Having studied and lived in the Middle East over the past decade, exhibition curator Karin von Roques has an intimate and unique understanding of the region and its artists. 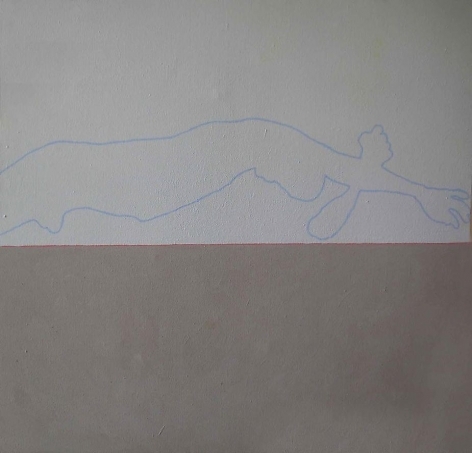 She throws into relief the wide range of work emerging from the contemporary Middle East, bringing its seminal artists to an international audience. Gallery director Sundaram Tagore says, "This exhibition was developed with the prime motivation being connoisseurship rather than the more expected issues of religion or politics. I believe connoisseurship will be the defining factor in the post-recession art world." 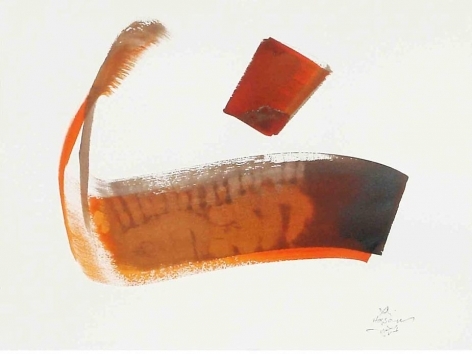 The full roster of artists is as follows: Ahmad Moualla (Syria); Ayman El Semary (Egypt); Hassan Massoudy (Iraq); Khaled Al-Saa'i (Syria); Ali Hassan (Qatar); Georges Fikry Ibrahim (Egypt); and Yousef Ahmad (Qatar). Contemporary Egyptian art, in conjunction with the Frankfurt International Book Fair, Germany, 2004. 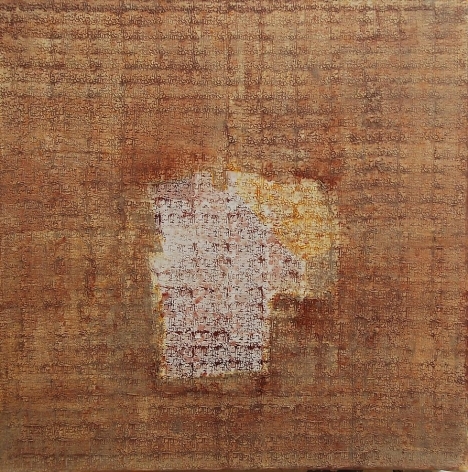 Contemporary Egyptian art, Jordan, 1999. 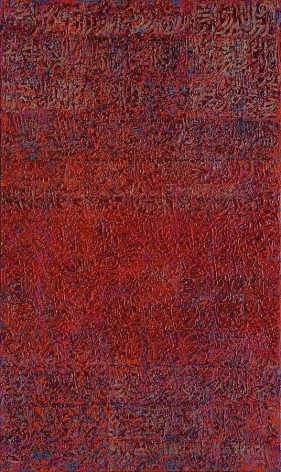 Contemporary Egyptian art, Vienna, Austria, 1995. "ART ASIA has busied itself with establishing a reputation as the unchallenged focal point for contemporary Asian Art collectors in the U.S. Sundaram Tagore Gallery's curated show "SIGNS: Contemporary Arab Art" was well received by both visitors and collectors and was cited by Yolande Whitcomb, ART ASIA's global relations representative, as an example of "ART ASIA's commitment to representing a broad range of Asian art." 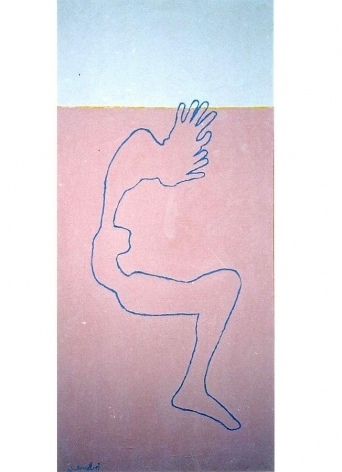 "For a long time the Arab art scene fell under the radar screen of the western world. Only a short three years ago, hardly anyone spoke of modern and contemporary art from Arab countries. But, lo and behold, it has now come into the range of the international art world [...] Signs – Contemporary Arab Art at Sundaram Tagore Gallery presents for the first time a selection of seven Arab artists. 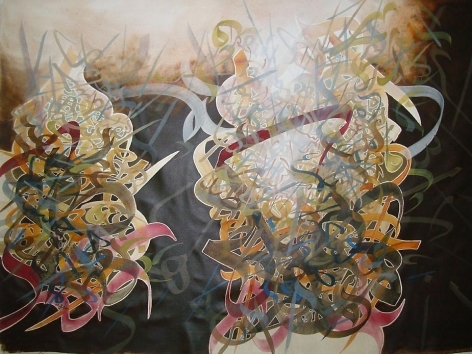 For all of them, calligraphy plays a vital role in their consciousness and their work." "Any exhibition of contemporary Arab art is an important step in creating inter-cultural dialogue and understanding beyond the prejudices that prevail about Arabs and Muslims. Signs: Contemporary Arab Art, featuring the work of seven contemporary artists and curated by Karin Adrian von Roques, at New York's Sundaram Tagore Gallery, is one such show." "Signs: Contemporary Arab Art, opening on Wednesday at the Sundaram Tagore Gallery, displays the work of seven contemporary Middle Eastern artists, in particular their treatment of ancient Islamic art. 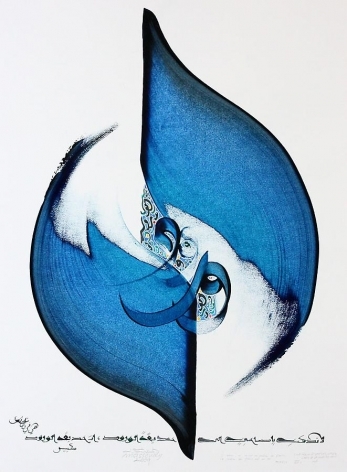 Traditional calligraphy and symbols infuse the work of Qatari artist Yousef Ahmad, who distills Arabic letters into abstract shapes, while Syrian artist Khaled Al-Saa'i draws on Sufi philosophy, painting words into spacious landscapes." "Signs: Contemporary Arab Art, a groundbreaking art exhibition from Sundaram Tagore galleries, New York, to run from October 14 to November 14 offers a rare glimpse into the Arab art world. The first of its kind in New York, the exhibition presents the work of seven influential artists from various countries in the Middle East"